So how coincidental is it that today's Daily Candy kids email (a must-read for all best aunties out there) is about a handbag? 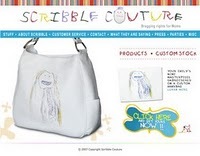 Yes, it seems a company out there named Scribble Couture can customize a handbag with a design made by your little munchkin. Neat, isn't it? 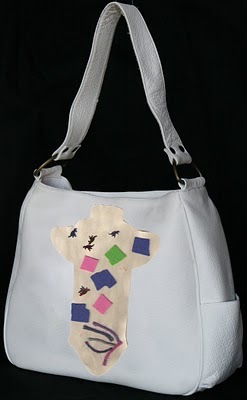 So here's what I'm thinking... how amazing would the "rocket" that Nora made for me in school look on the side of a handbag?